July, 2016 | Roland Dumont Agency, Inc. 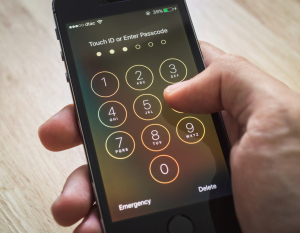 Lock your phone with a PIN, password, or pattern. This might sound like common sense but this can prevent other people from using your phone and the information it contains. Always download apps from trusted sites. The Google Play or Apple app store are two trusted sites for downloading apps. If you are downloading from somewhere else on the Internet, check to see if the URL beings with “https” instead of “http”. The “s” means it is a secure website. Remember to log out of apps or websites. When using your phone to make bank payments or on an app that uses your personal information, remember to log out of your account once you are finished. Beware of public Wi-Fi. Public Wi-Fi can be dangerous because everyone is using the same connection. A hacker can easily see what you are doing on your phone and could possibly access your account and steal your information. To avoid connecting to public Wi-Fi, disable the Wi-Fi setting on your phone. Don’t store sensitive personal information on your smart phone. Avoid saving social security numbers, credit card numbers, or any other sensitive personal information on your smartphone to reduce the risk of identity theft. Beware of privacy settings on apps. Sometimes apps request information from you and your smartphone. You can disable or deny these requests to prevent them from finding your smartphone’s location and passwords. Protect your phone with an antivirus and antimalware. As I’ve noted, your phone is just like a small computer so you should take the same protective measures for your phone that you might your home computer. Use antivirus or antimalware apps to prevent your phone from becoming broken and useless. Some good apps include 360 Security, AVAST Mobile Security andAVG AntiVirus Security. I hope these tips help you keep your smartphone from becoming more than just an expensive paper weight!